Increasingly, business processes are demanding that more information be shared across many tasks, and thus, many applications. While application integration architecture allows data to be moved from one application to another, it’s traditionally more of a manual process, and data travels laboriously in mostly a connector-to-connector fashion. 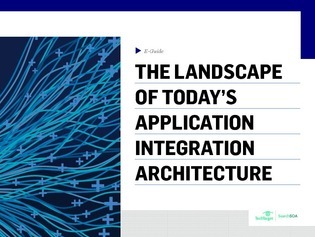 This exclusive e-guide discusses what is happening in today’s application integration architecture. Access now and you’ll learn how trends in enterprise architecture, hosting and app development are rapidly changing the landscape.